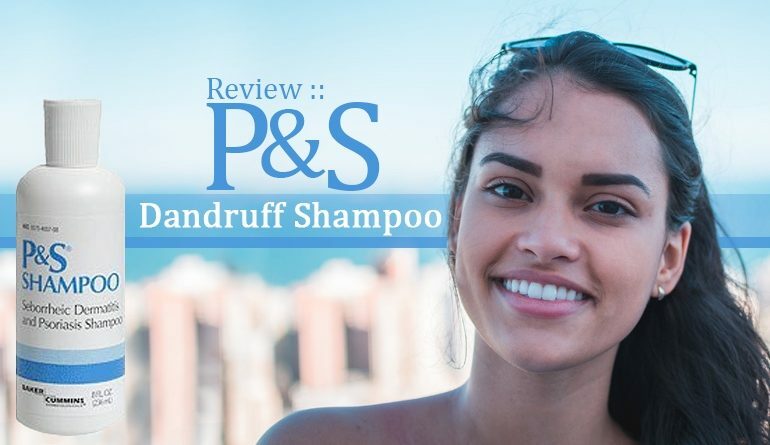 P&S Shampoo is a salicylic acid based shampoo designed to treat dandruff caused by both seborrheicFreedom from the embarrassing symptoms of seborrheic dermatitis and scalp psoriasis i.e. flakes and itching. What’s also interesting it the manufacturer’s patented delivery system to ensure more active works to improve your scalp health. dermatitis and scalp psoriasis. There are a couple of ingredient’s to look out for. Most disappointingly is the formaldehyde-releasing preservative Diazolidinyl Urea. An ingredient notoriously linked to contact dermatitis. Fragrance is present too as well as parabens. It’s an interesting choice though and coupled with their liquid, makes for an interesting proposition indeed. What is the best shampoo for seborrheic dermatitis? What is the best treatment for psoriasis of the scalp? Can 1 shampoo treat both? 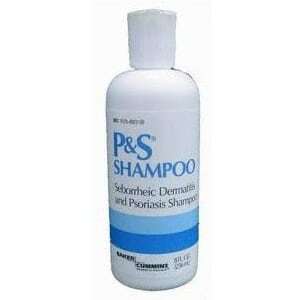 P&S shampoo – aka P&S seborrheic dermatitis and psoriasis shampoo claims yes. 1 shampoo can effectively treat both. 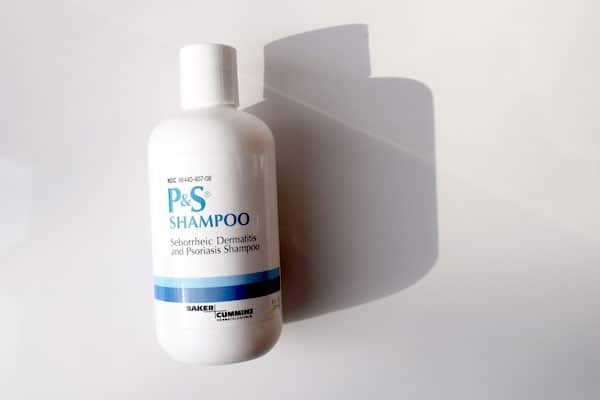 P&S Shampoo for seborrheic dermatitis and psoriasis is a single active ingredient formula featuring a strong 2% concentration of scalp softening salicylic acid. First stop: Who makes P&S Shampoo for seborrheic dermatitis and psoriasis? This fact you will find on the back label of any shampoo bottle. Flicking to the back of our P&S Shampoo for seborrheic dermatitis and psoriasis we read P&S shampoo is manufactured for Baker Cummins Dermatologicals and that P&S shampoo is a registered trademark of Biozone Laboratories Inc.
Biozone laboratories are a contract manufacturer, meaning they make personal care products but they sell these onto other companies. Who then sell them onto us. With digging, it looks like Biozoine laboratories are the brain makers of P&S shampoo. Interestingly Biozone Laboratories holds several patents on active-delivery. These patents are based on encapsulation technologies – meaning an active ingredient is dressed up into a shell. What this shell is made from then makes it easier for the active to penetrate skin effectively. This is of extreme importance and an often overlooked aspect of formulating. Fact; concentration is not everything – what matters most is how much of that active penetrates and remains in the skin. Baker Cummins Dermatologicals have a modest and old looking site with limited information. What we do know is they specialize in scalp and skincare and that their products can be used to treat dry skin and scalp conditions. We believe the expertise of the P&S formula lives in Biozone laboratories hands and that Baker Cummins Dermatologicals is the company who then market it. Manufacturing disclosed. Let’s move onto what you should expect when receiving a bottle of P&S seborrheic dermatitis and psoriasis shampoo. 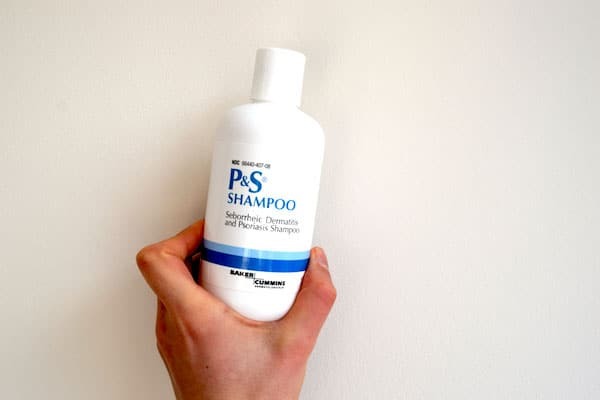 At 8oz/236ml a bottle of P&S shampoo is short, sturdy and plain looking. The branding is clean and simple – white with blue stripes. 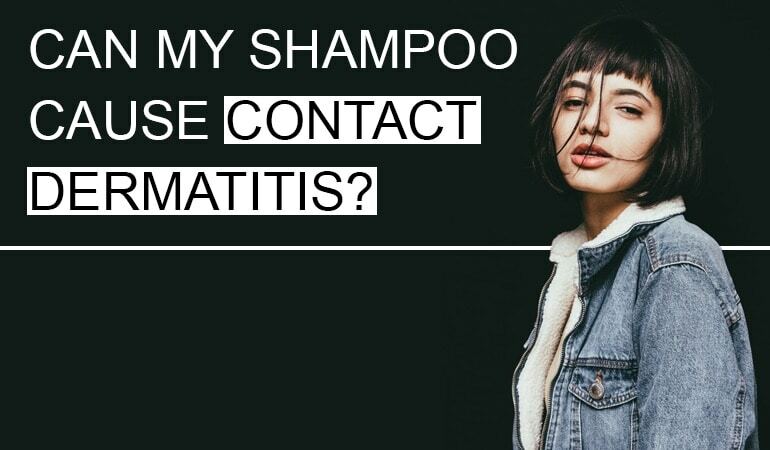 The claims are clear – this shampoo is to treat seborrheic dermatitis and psoriasis. The back label tells us this shampoo can be used to treat itching, flaking, redness, irritation and scaling. With a disc top cap – P&S shampoo is easy to use and dose without risk of spilling. 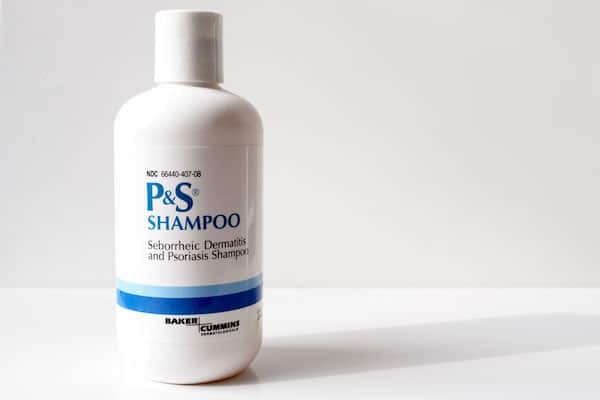 How does P&S shampoo for seborrheic dermatitis and psoriasis work in action? Exiting the bottle as a clear, lightly yellow tinted, viscous liquid P&S shampoo creates a modest foam and is likely to require a little more massaging than normal. 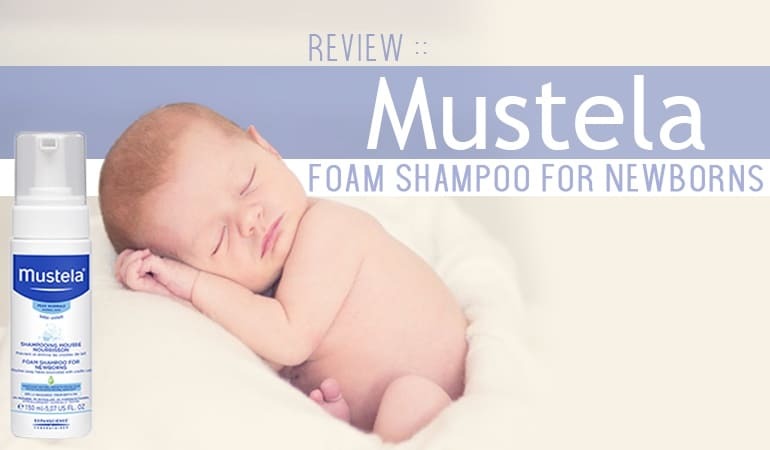 This does not impact its cleansing ability, only its ease of use. Fact; cleansing ingredients don’t need to foam to clean skin – now popular micellar waters are a classic example of this. The P&S formula washes out easily and leaves skin feeling softened. The fragrance is sweet and powdery and if you look online you will see P&S describe it as baby fragrance. Note: The directions on P&S shampoo state you should massage vigorously, rinse and repeat. However, there is no mention of how many times you should repeat. Now onto the important bit. Does P&S shampoo work? P&S shampoo uses 1 primary active – salicylic acid. Salicylic acid is keratolytic – it softens and exfoliates the outer layer of your skin. It also has mild antibacterial and anti-inflammatory properties meaning it can soften and dissolve away dead skin flakes while also helping prevent and reduce redness and irritation. When tested against other anti-dandruff shampoos without salicylic acid – the formula containing salicylic acid (combined with ciclopirox olamine) is the only formula to show a significant reduction in the itching of seborrheic dermatitis after 4 weeks of use. A review study published in 1999 concludes salicylic acid has the potential to improve the treatment of psoriasis by enhancing the penetration of other agents, particularly corticosteroids. It also mentions there aren’t many studies or trials into the benefits of using salicylic acid on its own as a psoriasis treatment. Many studies also use salicylic acid in combination with other well known anti-dandruff actives to improve and benefit treatment outcomes. Bottom line; we know salicylic acid can soften and dissolve away dead skin, we also know it has high potential to reduce itch. Therefore P&S shampoo is likely to help reduce the embarrassing appearance and sensation of both seborrheic dermatitis and psoriasis. It is however not likely to be a complete solution and after a month’s solo use you may wish to consider alternating with another anti-dandruff shampoo for better results. What about the other ingredients in the P&S formula? Are there any to be concerned about? Parabens – another preservative added to what must be the best-preserved formula since the days of Tutankhamon. If you know your scalp is sensitive to any of the above P&S shampoo is not the one for you. P&S shampoo also contains hydrolyzed animal protein which is going to help give your hair and scalp condition and hydration. 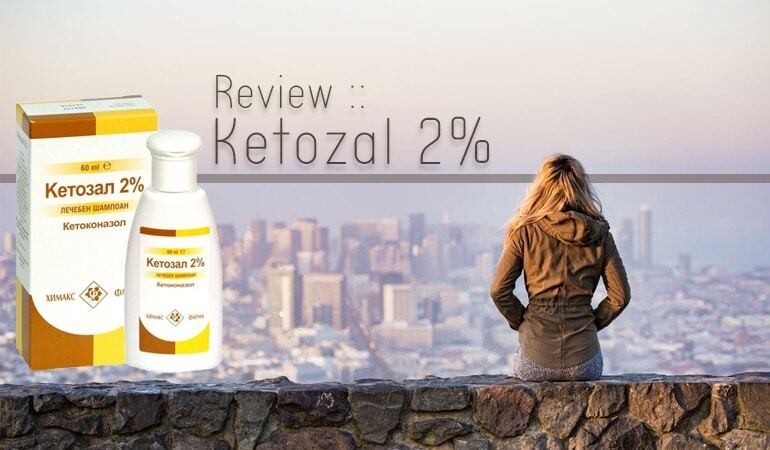 It also very likely contains a patented active delivery system meaning a significant amount of the 2% salicylic acid is going to be helping your scalp health improve. Overall a sturdy formula for helping relieve the embarrassing symptoms of seborrheic dermatitis and dandruff. Freedom from the embarrassing symptoms of seborrheic dermatitis and scalp psoriasis i.e. flakes and itching. With continued use of P&S shampoo for seborrheic dermatitis and psoriasis, this is what could be possible. A mono active shampoo formula based on 2% salicylic acid – and likely also having a patented delivery system to ensure more active works to improve your scalp health.